In the Newsletter 397 we already presented data about Top 10 Cat ownership in Europe. In today's Newsletter you will find info about dogs. According to PetfoodIndustry.com Germany is number one in dog ownership per capita in Europe. Russia is number one in total count. 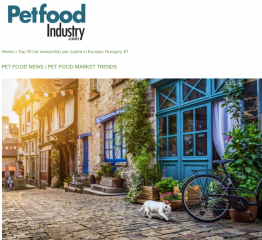 The European Pet Food Federation (FEDIAF) estimated the number of dogs in Europe in 2017. While this allows a ranking of dog population in these countries by total number, the ranking by per capita dog population differs from the total numbers of dogs in each European nation. According to PetfoodIndustry.com Hungary is number one in cat ownership per capita in Europe. Russia is number one in total count. The European Pet Food Federation (FEDIAF) estimated the number of cats in Europe in 2017. While this allows a ranking of cat population in these countries by total number, the ranking by per capita cat population differs from the total numbers of cats in each European nation. 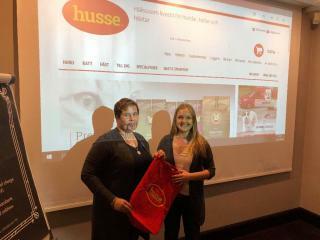 We would like to give a warm welcome to our new master franchisees of Finland, Ms. Päivi Nyberg and Ms. Mirva Mansikkaniemi. They have already started their initial master franchise training and will take over existing operation in Finland from 14th of September.